Ageing is the process of becoming older. Ageing represents the accumulation of changes in a human being over time, encompassing physical, psychological, and social change. Reaction time, for example, may slow with age, while knowledge of world events and wisdom may expand.  Ageing is among the greatest known risk factors for most human diseases: of the people who die each day across the globe, about two thirds die from age-related causes. The scientific causes of ageing are unknown; current theories are assigned to the damage concept, whereby the accumulation of externally induced damage (such as DNA point mutations) may cause biological systems to fail, or to the programmed ageing concept, whereby internal processes (such as DNA telomere shortening) may cause ageing. However, ancient Indians were very intelligent and devised simple yoga poses that help in anti-aging. Yoga and pranayama are the most accepted holistic exercises for (possible) absolute health as explained by biopsychosocial model. Pranayama is the breathing exercise highly recommended for various physiological and psychological disorders. Kumbhaka forms the basis of deepest breathing exercises (Pranayama) required to regulate the activities of mind and increase the concentration. This helps stabilizing the mind and lowering metabolism. 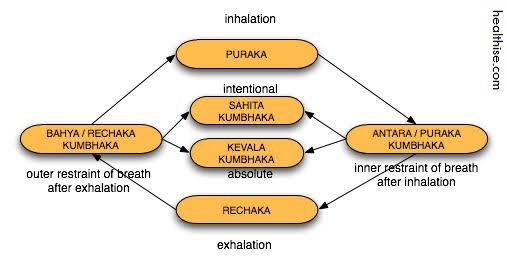 Kumbhaka is the “voluntary cessation of breath” and the extreme stage is known as Kevali Kumbhaka where respiration ceases and metabolic activities stop unless reverted voluntarily. It is of utmost importance for yogis (one who performs yogic exercises) to attain samadhi which becomes easier with kumbhaka as explained by yoga and religious scriptures. Respiration includes inhalation and exhalation. In between these two processes there is a very minute gap or pause (normally in miniseconds) which is usually not noticed and it recurs, i.e, inhalation-pause-exhalation-pause-inhalation…. and it continues. The maximum gap or pause is observed in the state of rest. Kumbhak enforces to increase the pause by ceasing the breath routinely and continuously by various types of pranayama and kumbhaka exercises. It is being observed that more is the time spent for pranayama (and kumbhaka) increased is the concentration and better is the control over mind. Various ancient yogis (expert in yoga and pranayama) noticed the importance of respiration and its correlation with activities of mind and vital forces. Aging is also seen proportional to frequency of respiration or respiratory rate, i.e, frequency of inhalation and exhalation in one minute. Medical science recorded normal respiratory rate in humans as 12-16 breaths per minute with life span of 70-80 years. These figures may vary due to geographical, communal and other distribution factors. Though the level of consciousness varies from species to species, it is seen highest in humans where conscious mind can provoke to perform activities and exercises as per wishes and this voluntary performance is not up to such an extent in any other species and consequently all other species cannot cease their breath as and when desired (voluntarily). Some species (e.g, whales) can take enormous air and cease it for a long time but that is spontaneous requirement and involuntary; and it is the necessity for them to survive this way. Practicing kumbhaka for a long time increases endurance of physiological as well as psychological structure of an individual. Continuous and long term practicing increases the hold or control on breath up to an extent where it reaches to its extreme stage (Kevali Kumbhak) and the respiration is ceased permanently unless desired to get into normal state. Aging is proportional to metabolism which in turn is proportional to respiratory rate. Metabolism lowers down as the respiratory rate decreases and this helps prevent aging or at least lowers down the process. It has not been recorded scientifically whether kevali kumbhaka can increase age (or can make immortality a fact) by lowering down the basic reactions which support life, however, various yoga sutras and religious scriptures define samadhi and immortality (anti-aging) an approachable dreams for determined individuals. Human babies and other living beings of lower level of consciousness such as animals live real life, enjoy every moment, happy from all directions, open to all dimensions (of life), stay healthy and beautiful. Its because their activities are parallel to thought process. They are on the right way by nature and it all happens unless their spontaneity is disturbed. There is no restriction at all because there is no consciousness (to prompt). From the philosophical point of view consciousness is nothing but an easier way to restrict ourselves what to do and what not to do. The moment it starts happening the individuality divides…Most of the times mind gets diverted unconsciously to where consciousness wouldn’t like to surrender (may be due to ego) that is how the differences starts appearing (within) and this struggle of conscious and unconscious gives birth to psychological disorders. So inhale the positive a. exhale the negativ. Thanks for sharing your videos with me. you’r a very kind person. For those who are attached to this bodily machine, the yoga system is recommended. One who is overly attached to the bodily conception is taught to concentrate the mind by some physical gymnastics. Thus in ha?ha-yoga one undergoes various physical disciplines, but the real purpose is to understand Vi? ?u, the Supreme. The various yoga systems are given for the machine of the body, but the process of bhakti is transcendental to mechanical arrangements. Cool! Thanks for sending this along. It’s bound to help my aging joints, lol. Thank you!!! this is great !I am looking forward to the whole series! Namaste! It would be very good if we got to stop the five senses and the mind, because the reason rests like this in silence, beginning like this the supreme road. It is worthwhile to pursue this I objectify, because we became like this mentally better and physically. Great work! Thank you for sharing. I would love to see a video for those of us senior citizens who have had hip replacement and aren’t allowed certain movements. I’d loved my hatha yoga but can’t do most of the positions I used to do. This is wonderful, thank you for sharing. 🙂 Nasmaste. Trouble is that I couldn’t do this. I don’t have a great tan like these people. Hey you could be jamming yur shoulder . Try the yoga for seniors in our playlist that will give you an idea of how to release the shoulders . In Yoga we send only LOVE. Maybe you need yoga, it might help remove the ball and chain forcing you to watch this. Merry Xmas. Hey, I’m having trouble figuring out how to do the “downward facing dog” position. I think you should put a camera in the back, preferably behind Ellena. Yeah make sure you do it to the playlist. Not just this or download the full video from our website. thats a cool idea for an ocean view.